Easter is the Christian holiday when we remember and praise the resurrection of Jesus from the grave on the third day after being crucified. There are numerous Bible verses referencing the story of Easter that appear before, during, and after the resurrection of Christ. Christ’ death and renewal are prophesized in the book of Isaiah and multiple books of the Gospel recount the actual events of His crucifixion and resurrection. Later in the New Testament scripture mentions the resurrection of Jesus as an example and the promise of our own salvation and redemption from sin. 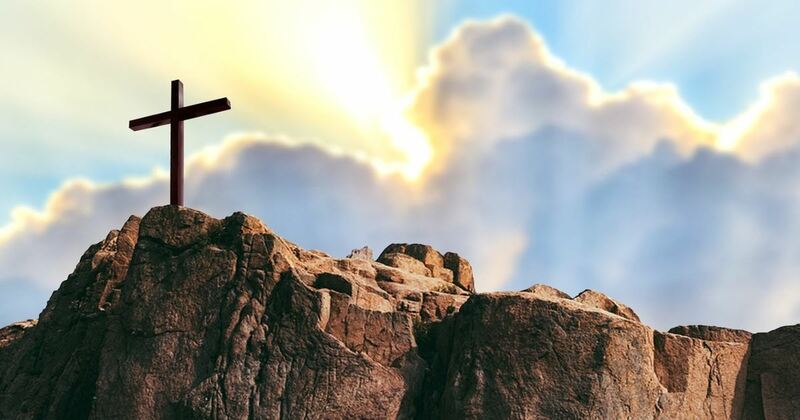 Discover (or Refresh) the powerful story of Easter as we explore scripture quotes about the miracle of Jesus’ resurrection and what it means for us today! On the first day of the week, very early in the morning, the women took the spices they had prepared and went to the tomb. They found the stone rolled away from the tomb, but when they entered, they did not find the body of the Lord Jesus. While they were wondering about this, suddenly two men in clothes that gleamed like lightning stood beside them. In their fright the women bowed down with their faces to the ground, but the men said to them, “Why do you look for the living among the dead? He is not here; he has risen! Remember how he told you, while he was still with you in Galilee: ‘The Son of Man must be delivered over to the hands of sinners, be crucified and on the third day be raised again.’ ” Then they remembered his words. When they came back from the tomb, they told all these things to the Eleven and to all the others. It was Mary Magdalene, Joanna, Mary the mother of James, and the others with them who told this to the apostles. But they did not believe the women, because their words seemed to them like nonsense. Peter, however, got up and ran to the tomb. Bending over, he saw the strips of linen lying by themselves, and he went away, wondering to himself what had happened. When Jesus rose early on the first day of the week, he appeared first to Mary Magdalene, out of whom he had driven seven demons. She went and told those who had been with him and who were mourning and weeping. When they heard that Jesus was alive and that she had seen him, they did not believe it. Afterward Jesus appeared in a different form to two of them while they were walking in the country. These returned and reported it to the rest; but they did not believe them either. Later Jesus appeared to the Eleven as they were eating; he rebuked them for their lack of faith and their stubborn refusal to believe those who had seen him after he had risen. He said to them, “Go into all the world and preach the gospel to all creation. Whoever believes and is baptized will be saved, but whoever does not believe will be condemned. And these signs will accompany those who believe: In my name they will drive out demons; they will speak in new tongues; they will pick up snakes with their hands; and when they drink deadly poison, it will not hurt them at all; they will place their hands on sick people, and they will get well.” After the Lord Jesus had spoken to them, he was taken up into heaven and he sat at the right hand of God. Then the disciples went out and preached everywhere, and the Lord worked with them and confirmed his word by the signs that accompanied it. Now that same day two of them were going to a village called Emmaus, about seven miles[a] from Jerusalem. They were talking with each other about everything that had happened. As they talked and discussed these things with each other, Jesus himself came up and walked along with them; but they were kept from recognizing him. He asked them, “What are you discussing together as you walk along?” They stood still, their faces downcast. One of them, named Cleopas, asked him, “Are you the only one visiting Jerusalem who does not know the things that have happened there in these days?” “What things?” he asked.